Glitter-Green Crystals + Textured Gold = Superbly Stunning!!! 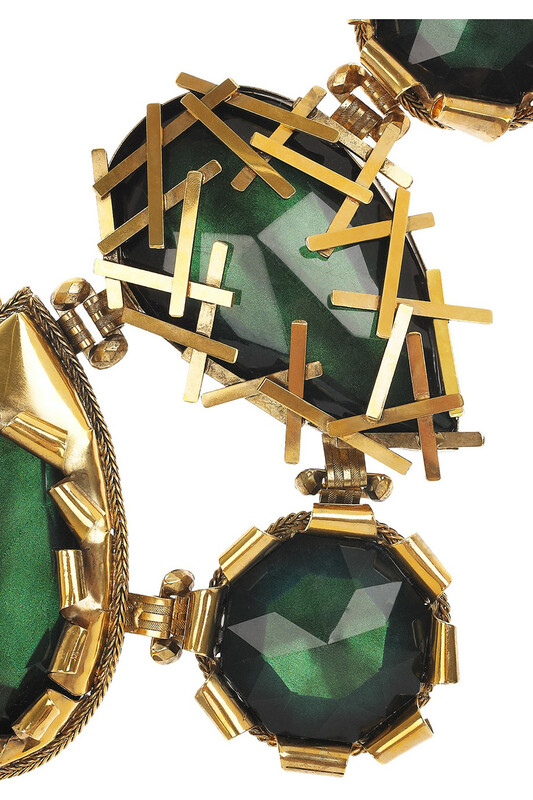 Erickson Beamon’s oversized gold-plated, green Swarovski necklace is SCREAMING MY NAME!!!!!! I am in awe over the use of the different gold textures. 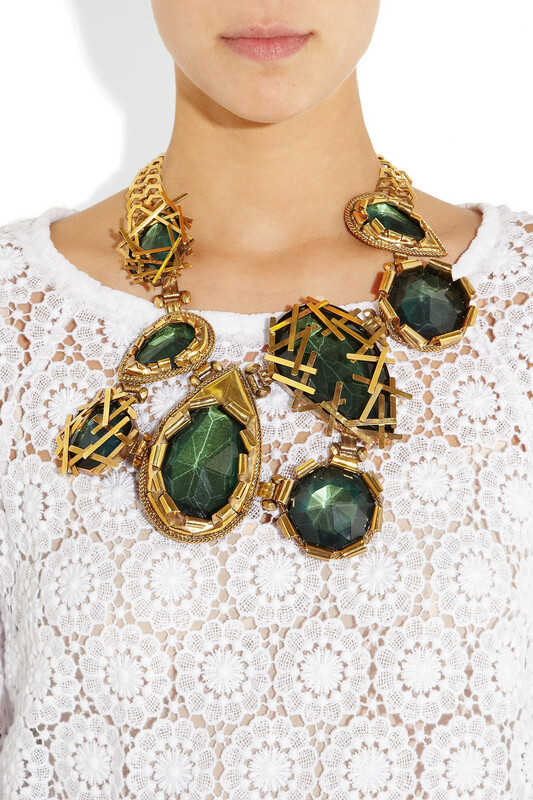 The size of this necklace, along with the combination of gold and green crystals is absolutely gorgeous. This necklace has the commanding power to make an outfit. It almost wouldn’t matter what else you wore with it. It is clearly a stand out. A bold eye-catching piece, not for the timid! 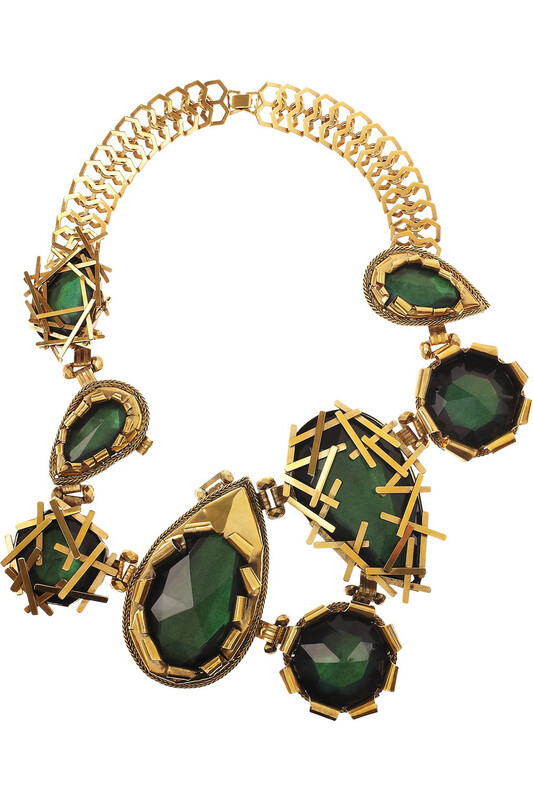 This entry was posted in Accessorizing, Jewelry, Style, Stylespriation and tagged Erickson Beamon, glitter-green crystals, Gold, Gold plating, Necklace, Swarovski, textures on June 16, 2012 by thelookbookphilosophy. Texture Principles . . .
Just a few things that are inspiring me right now . . . 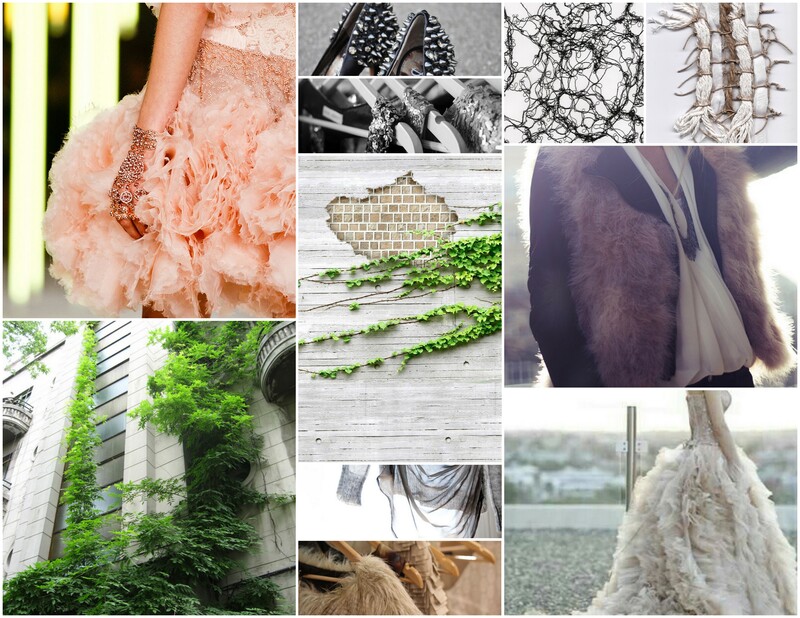 This entry was posted in Design, fashion, Inspiration and tagged Alexander McQueen, braided string, chipped paint, fur, Ivy, leaves, plaster, rope, ruffles, sequins, sheer, studs, textures, white, wood, yarn on May 1, 2012 by thelookbookphilosophy.